Herman E. Daly (b.1938) is an ecological economist and Emeritus Professor at the University of Maryland School of Public Affairs. Previous positions include Professor of Economics at Louisiana State University, Research Associate at Yale University, Visiting Professor at the Federal University of Ceara in Brazil, Visiting Fellow at the Australian National University, and Senior Economist in the World Bank Environment Department. Noteworthy books include Toward a Steady-State Economy (1973), Steady-State Economics (1977; 1991), Valuing the Earth (1993), For the Common Good (1994, with John B. Cobb), Beyond Growth (1996), Ecological Economics and Sustainable Development (2007), Ecological Economics: Principles and Applications (2nd edition, 2010 textbook), and From Uneconomic Growth to a Steady-State Economy (2014). 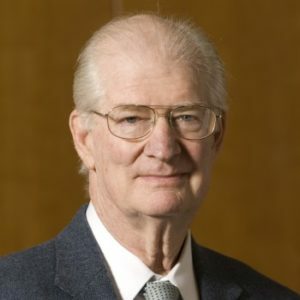 He is on the Executive Board of the Center for the Advancement of the Steady State Economy in Arlington VA, co-founder and co-editor of the ISEE journal Ecological Economics, and, with John B. Cobb, he developed the Index of Sustainable Economic Welfare (ISEW) in 1989, as a better measure of progress than Gross Domestic Product. He has won numerous awards, such as the Right Livelihood Award (2006), Sophie Prize (1999), Leontief Prize (2001), and Blue Planet Prize (2014).